Who doesn’t love sitting outside on a nice warm evening? Those who can’t stand getting bug bites – that’s who! You could always light citronella candles and cover yourself in insect repellent. On the other hand, you could fill your outdoor space with herbs, flowers and plants that keep bugs away without chemicals. Pick up a few fun containers, some potting soil and these plants and begin to take back your yard from annoying pests. Lavender – A favorite, calming scent for many it can also be used to keep away mosquitoes and flies. 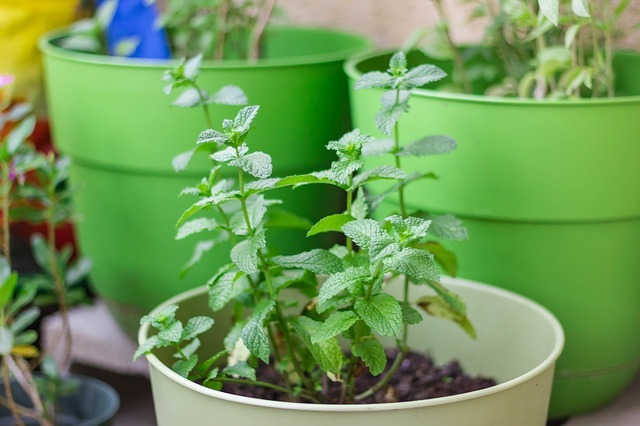 Mint – Not only can you use it in your tea, but mint also helps repel mosquitoes. Rosemary – Repels mosquitoes and a variety of other insects harmful to vegetable plants. 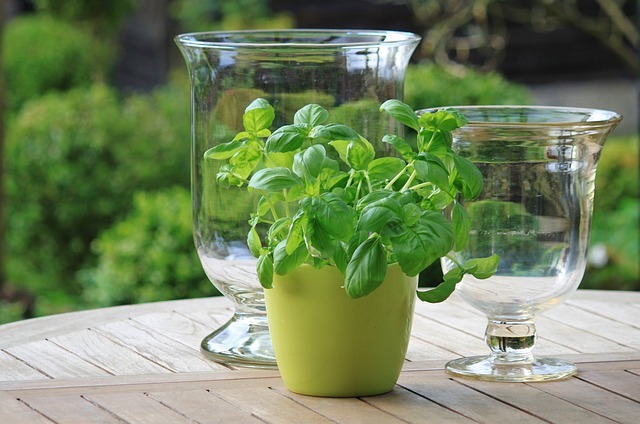 Basil – Repels houseflies, mosquitoes, whiteflies, spider mites and aphids – especially on tomatoes. Tomato and basil go together in the garden and on the table! Dill – Helps deter squash bugs and adult cabbage worms. Garlic– The strong scent repels aphids, and Japanese beetles – plant it around the plants that are susceptible to them like blueberries, roses, raspberries etc. Catmint (Nepeta spp. )– This is a member of the mint family and is very pretty too! It repels flea beetles, aphids, Japanese beetles, squash bugs, ants, and weevils. Lemon Thyme– Another herb that repels mosquitoes. 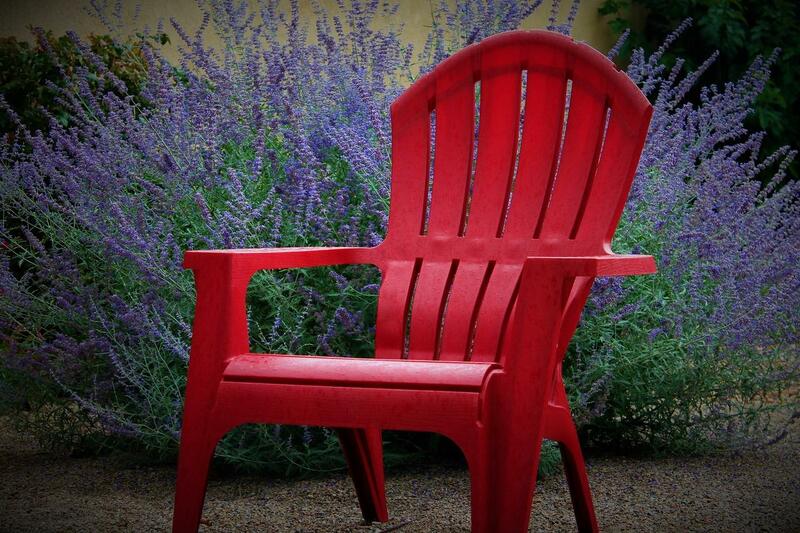 Russian Sage (seen above in photo with adirondack chair) – Repels cabbage worms and help keep deer away as well. 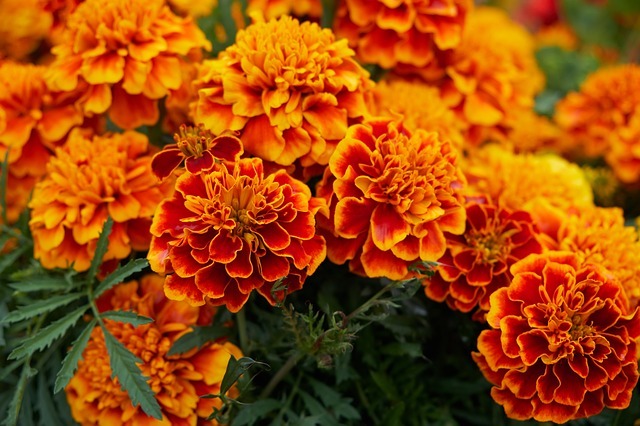 Marigolds – Repels mosquitoes and rabbits and the tall varieties-African marigolds (Tagetes erecta) – deter tomato and tobacco hornworms. Nasturtiums – Keeps away cucumber beetles. Lavender – Repels moths, fleas, flies, mosquitoes, white flies and aphids. Allium – Repels slugs, aphids, carrot flies, and cabbage worms. Chrysanthemums – Repels roaches, ants, Japanese beetles, ticks, silverfish, lice, fleas, bedbugs, spider mites, harlequin bugs and root-knot nematodes. 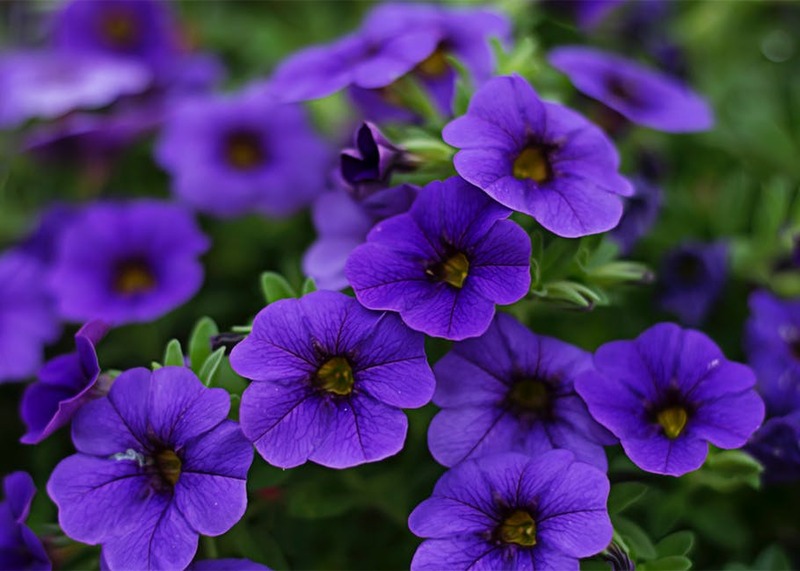 Petunias – Repels aphids, tomato hornworms, asparagus beetles, leafhoppers and squash bugs. Pitcher Plants – Trap and ingest insects like ants, flies, wasps, bees, beetles, slugs and snails.To learn more about our landscape design and planning services, contact Paul Lepard, RLA, PP at plepard@navenewell.net or 610.265.8323.